According to Nirain Lobo, CEO of Interior Selections, the challenge was to maximize the beauty of their finished products and this primarily meant the sanding and finishing/painting line. Given that even if the best paints are applied to a surface that is not well prepared, one can never get the results expected, the aim was to find a solution that could achieve top level finishing and productivity, whilst retaining the flexibility to work with different materials and products. Having studied the different options available, the decision was made to sand the material to perfection, reducing the time, keeping the flexibility to work with the same wide belt sander on different projects, and most importantly to provide the best surface to apply the paint. The best surface meant not only the most beautiful result, but also a reduction in paint usage (better environmental footprint as well as cost saving) to get the same beautiful looking result. 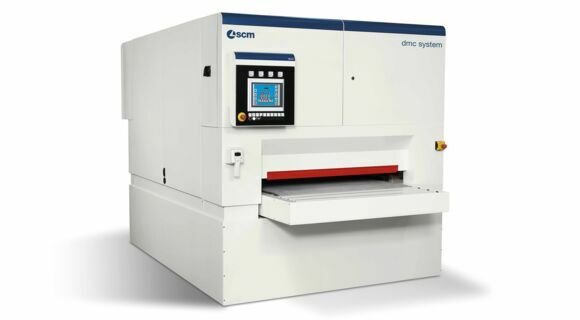 Upon meeting with Diego Piersanti, Commercial Director, Scm Group Middle East, the initial proposal suggested was a Calibrating sanding machine (Dmc System t3 1350). According to Piersanti, the sturdiness of the machine and the wide number of technical solutions available made this sander the best choice for both industrial companies and demanding contractors, who use the machine in an intensive manner. “Interior Selections reached out to us to solve an issue they were having on their sanding/finishing division. We sat together and discussed how our technologies could help solve their issues whilst improving quality and productivity results. What I loved was the real open discussion between us. We could elaborate on the solution proposed and share in detail how the machine could help them. We started with the sander, which was the first big machine from Scm for Interior Selections, but more importantly we were able to create a working relation based on trust,” said Piersanti. 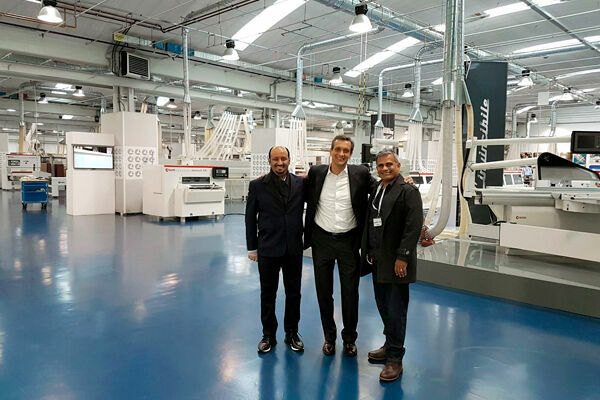 A trip to Rimini, Italy soon followed and it was here that Nirain was able to view first hand at Scm headquarters the wide range and variety of solutions on offer. 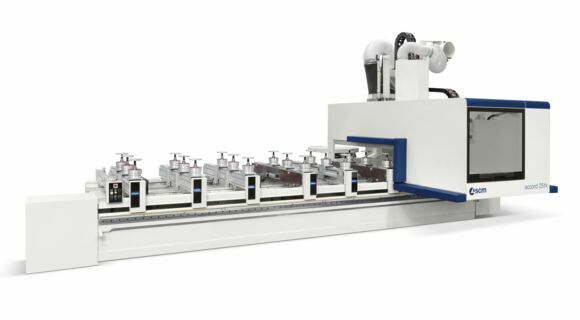 In particular, a demo of the 5-axis CNC machining center (Scm Accord 25 fx) dedicated to door processing helped to throw the spotlight on the benefits it could bring Interior Selections. 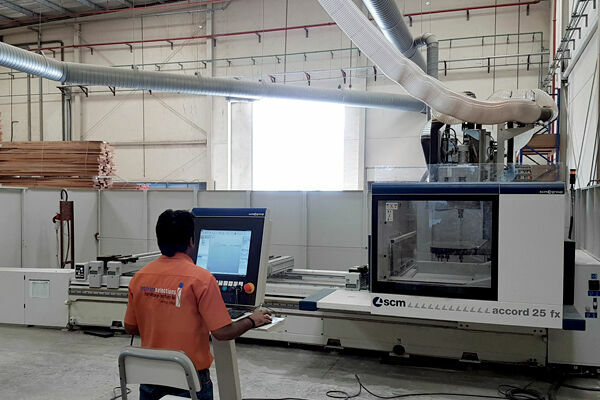 At the time, the company already had a 4-axis CNC, but Nirain almost immediately understood the quantum jump that would be made with Scm’s 5-axis CNC. “The decision to implement our 5-axis CNC machining centre was made on account of it providing utmost performance with reasonable investment. Designed to meet the needs of small and medium-sized companies, it combines state-of-the-art technology with extreme ease of use for flexible production of doors, windows, stairs, solid wood parts and for machining wooden and extra-wooden panels: plastic, composites, resins and light alloys. Not only does it offer flexibility but also effciency, which can give Interior Selections an edge in this competitive industry,” added Piersanti. Currently, both the sander as well as CNC machining center are in operation at Interior Selections, and have enabled the company the flexibility to maximize business opportunities whilst increasing productivity and overall quality. According to Piersanti, cooperation, crystal clear communication on what was needed and what can be done have helped drive a solution that has resulted in mutual satisfaction. With Scm as a vital partner, Interior Selections is now further equipped to take up the new challenges posed by the market. “It’s been a real pleasure working with Diego of Scm. Our relationship is more of a partnership than a client supplier one. Diego walks the talk and with his inputs we have made the necessary investments, which are already giving us high returns in terms of quality, environmental and financial benefits. We look forward to future investments with Scm in the near future,” concluded Nirain Lobo. Interior Selections LLC is a furniture manufacturer and Supplier in Dubai, well known for providing interior solutions for Offices, Hotels, Houses and Retails in Dubai, UAE.